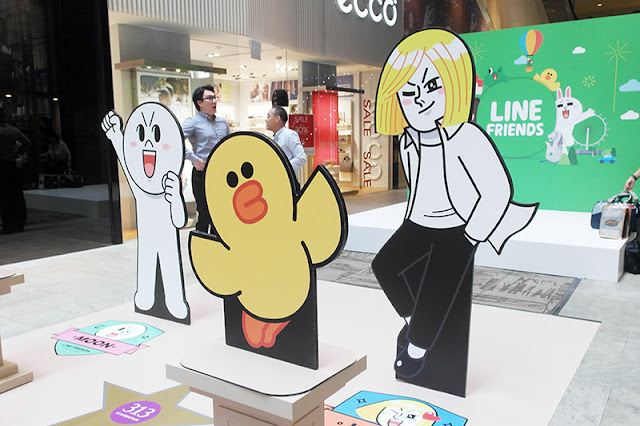 I'm pretty sure many of you guys out there have heard of LINE and are pretty familiar with all their mascots already because they are really EVERYWHERE. 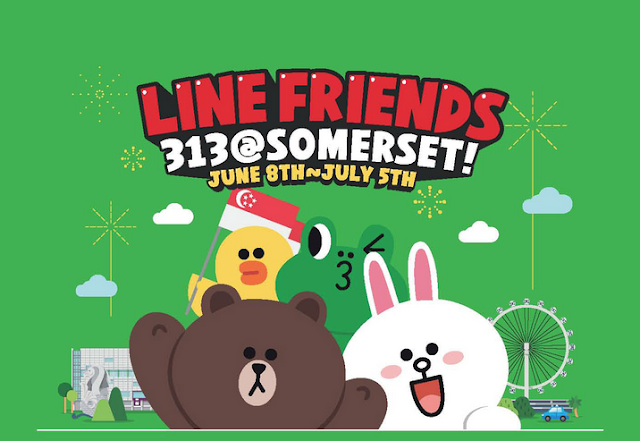 Great news for LINE fans, they are back with a pop-up store again this year at 313@somerset! 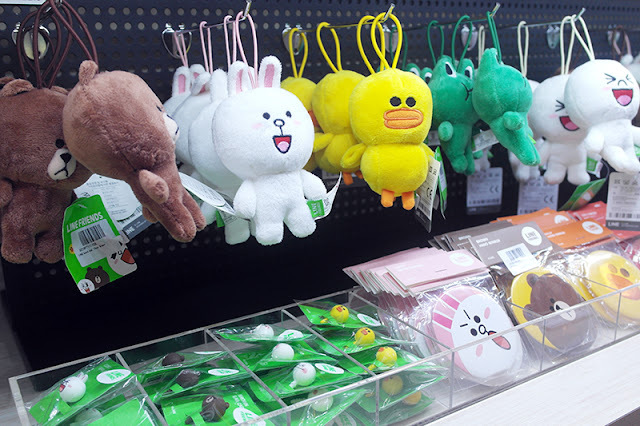 Small plushies for you to hang on your bags and badges! 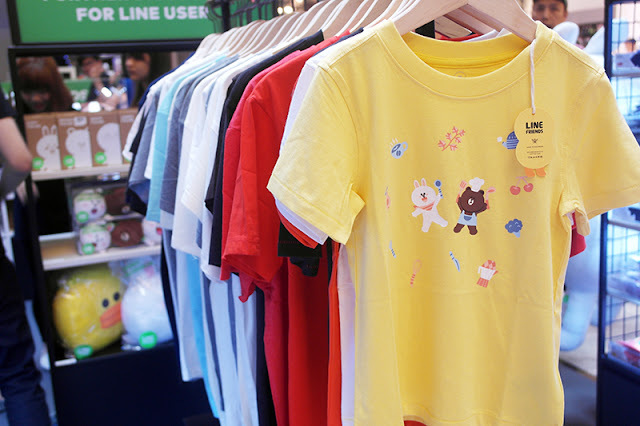 Tees ranging from $20 - $50. There are kid sizes too! 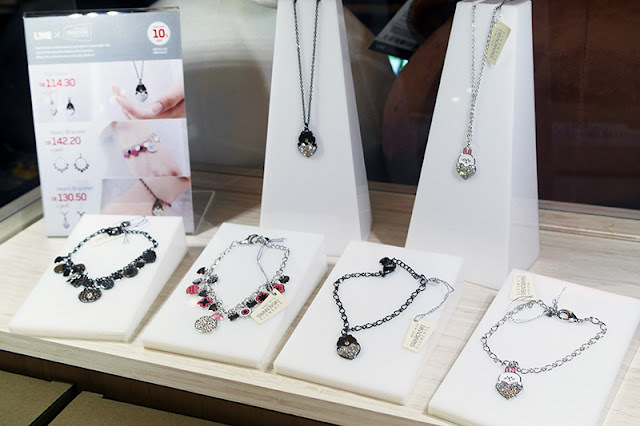 Swarovski necklaces and bracelets and more to come! 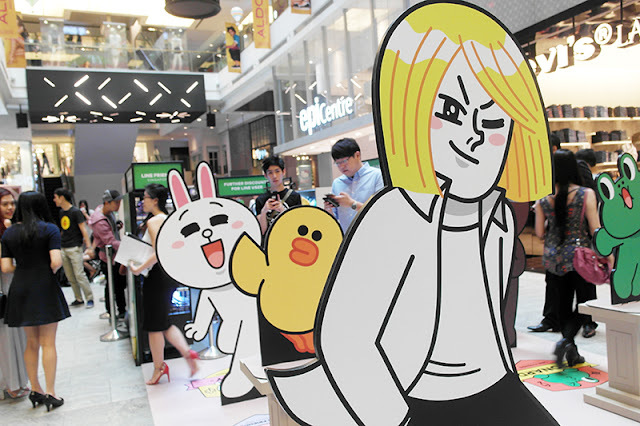 Also, take picture with your favorite mascot standee! 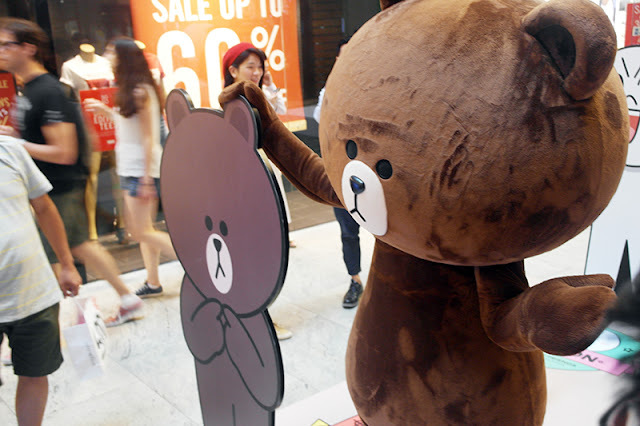 Look at Brown taking a photo with himself lol! I bet you can guess who is my favorite character from this post lol! IT'S BROWNNNNNNN!!! 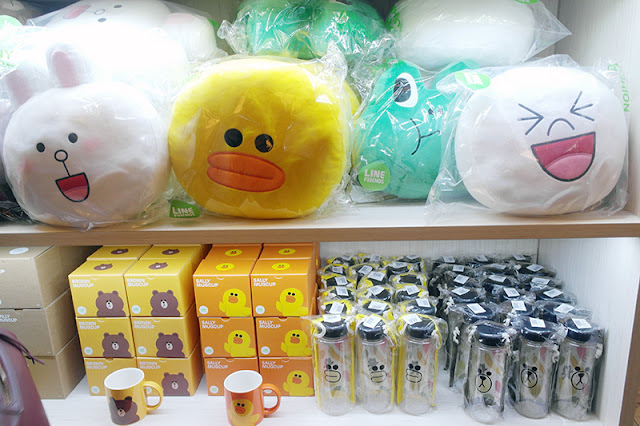 Received a goodie bag too and there are inflatable balloons inside so I got my sis to blow up Sally for me and I gave her the Cony one. 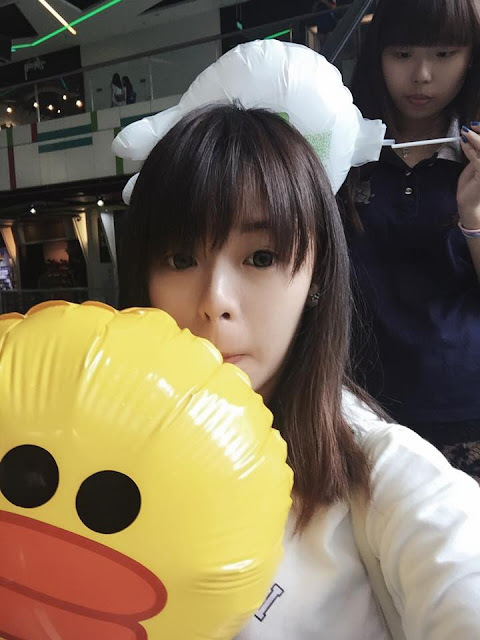 Look at how excited she is making her own balloon HAHAHAHA. Wanted to keep the Brown one but when I reached home I got my mum to blow it up for me lol! 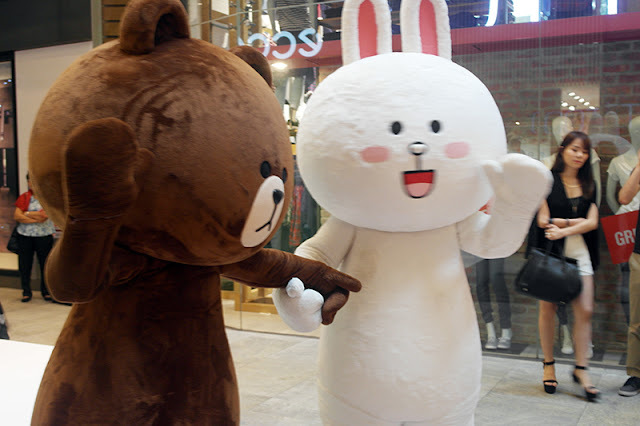 Cony was there to say Hi too!! They are so hyper that they keep dancing around and it was so hard to get a proper shot of them! Interested? Here are more event details for you! Hi! 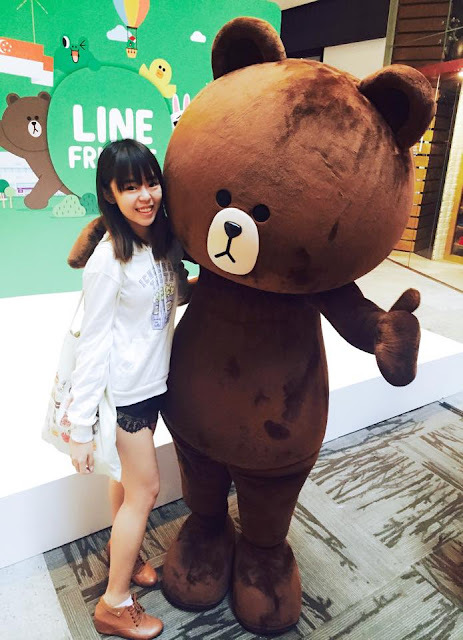 OMG I'M A HUGE LINE FAN! 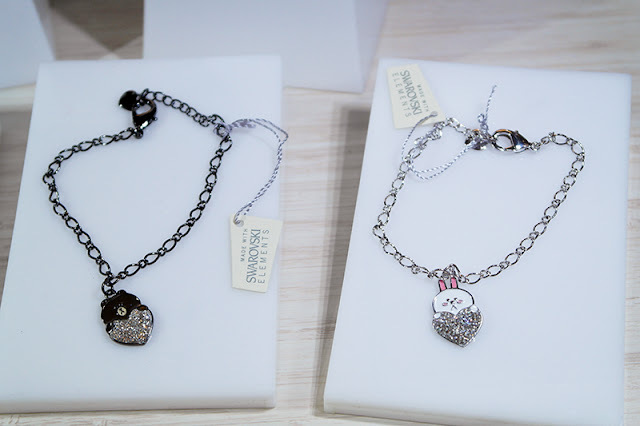 I was about to post about my prize that I won from Line. 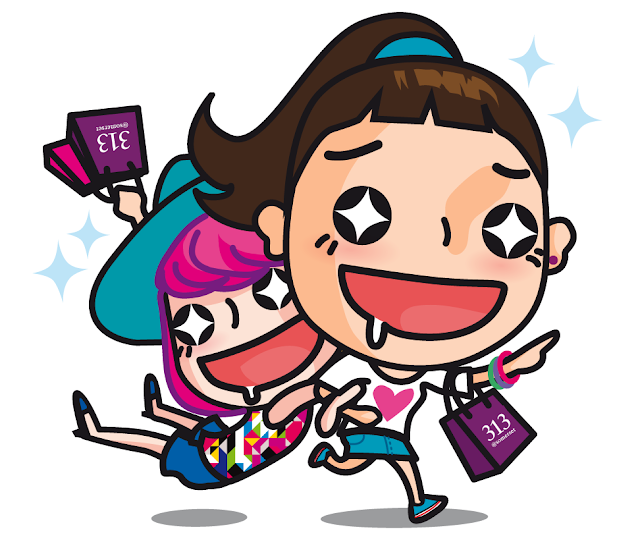 Wow it's good that S'pore already has a Line Pop Up Store and maybe one day I will get to visit it. 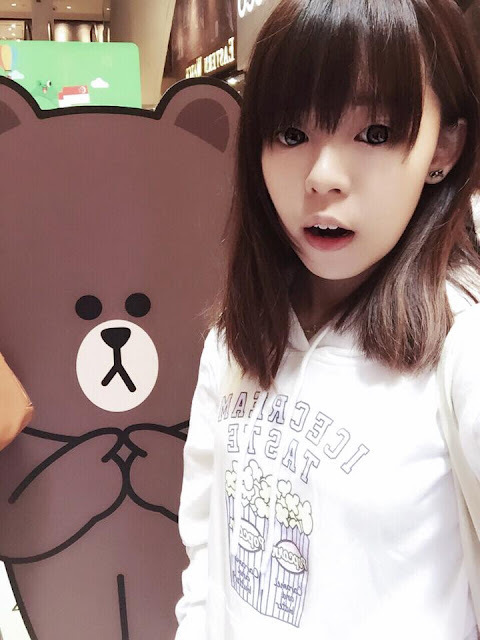 And your selfie with Brown (my fave character) is too cute!